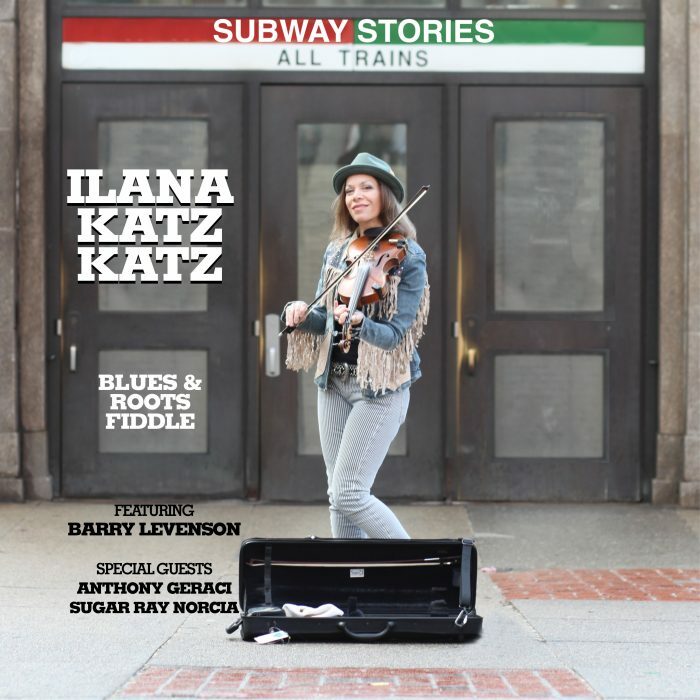 Fiddler, Singer, Songwriter, Novelist, and Visual Artist ilana Katz Katz casts a wide net of creative endeavors. 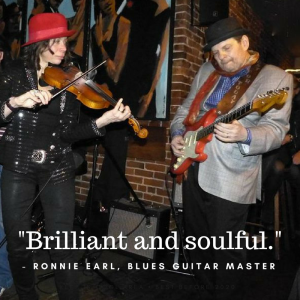 She won the Boston Blues Challenge (solo) and performed at the International Blues Challenge in Memphis, TN (January, 2018). 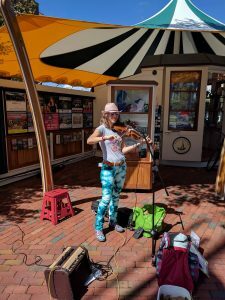 Her unique fresh breath of Blues fiddlin’ and singing have reached around the globe, from Australia to Poland to the Netherlands to Boston to NY and far beyond. 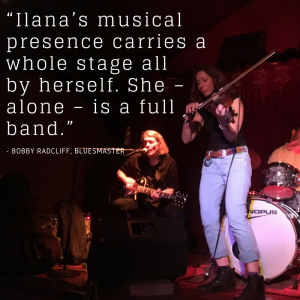 Ilana loves to bake and often gives out homemade cookies at her shows. Ilana is an avid visual artist, known to paint and draw funny cat pictures, landscapes. 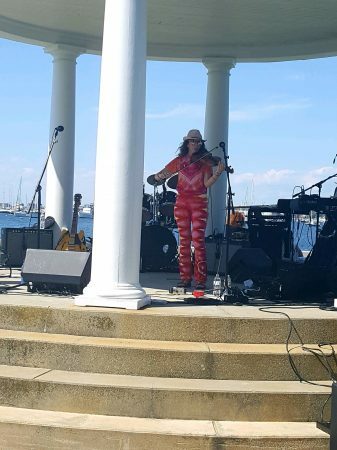 She also paints murals on her boots she wears frequently when performing. Ilana is a published novelist “The Underground”. 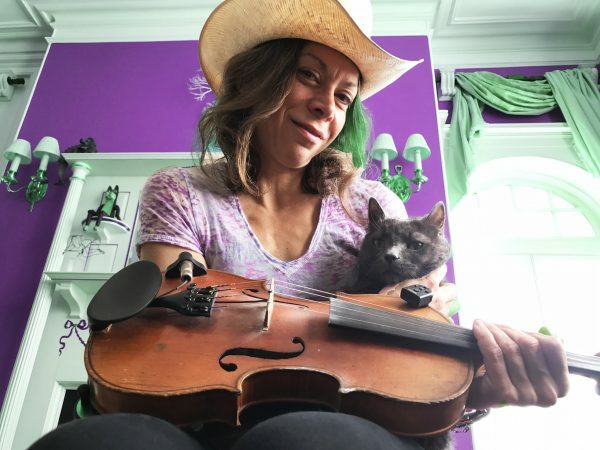 She’s performed solo in all kinds of places – from the Mayor of Boston’s International Gala Ball, to the Bradenton Blues Festival, Juke Joint Festival in Clarksdale, MS, in NY City and Chicago subway stations (in addition to her home base of the Boston subway). 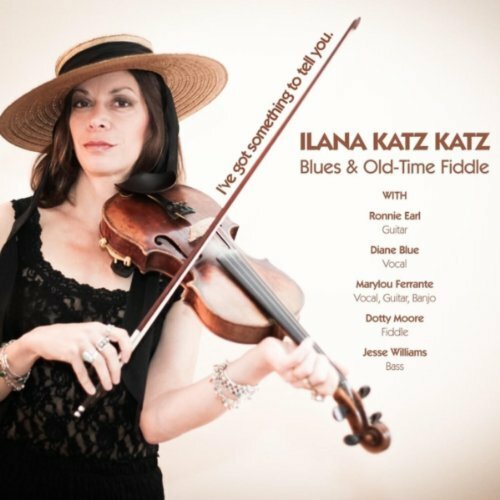 Ilana often donates her busking tips to the Killer Blues Headstone Project, providing headstones for Blues musicians lying in unmarked graves www.killerblues.net. Ilana is an avid runner and has completed 3 marathons, including the Boston Marathon. 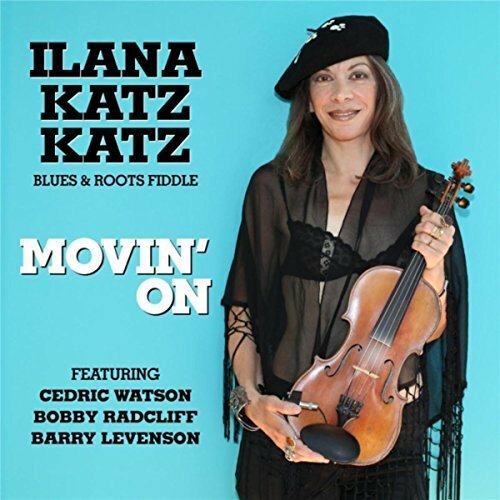 Her full legal name really is Ilana Katz Katz. Here’s the story behind that.